Ciaran Martin, chief executive of the National Cyber Security Centre, said Russia poses a “serious and sustained” threat that pre-dates the nerve agent poisoning earlier this year. He said: “We’ve been on heightened alert since the horrors of Salisbury and have put in place various protective measures. “I can’t really go into the detail of the day-to-day intelligence picture of what we are spotting, but let me be clear – we remain on high alert. Mr Martin noted Russia has tended to target “critically important” national assets rather than mounting “consumer or citizen-facing” attacks. The UK’s relationship with Moscow has been in crisis since former spy Sergei Skripal and his daughter were left critically ill after being poisoned with the nerve agent Novichok in March. Last week, police investigating the attack identified two Russian nationals, said to be operatives of the country’s GRU military intelligence service, as suspects. Mr Martin told BBC Radio 4’s Today programme: “Let’s not get too hung up on the cyber dimension to the Government’s response. 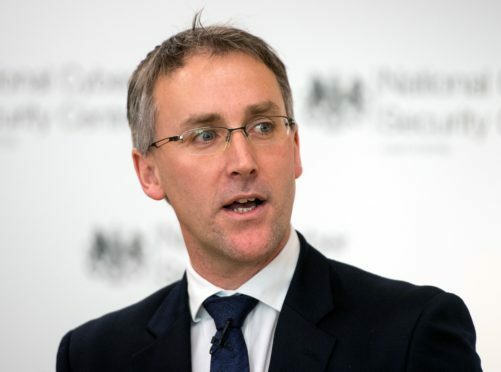 In its first year, the NCSC registered 590 “significant” cyber incidents across the UK. Attack targets included key national institutions, businesses and other organisations. Mr Martin said cases range from “deeply covert” hostile state acts to criminal attacks that, while not particularly sophisticated, can have “huge public impact”. The NCSC recommends that boards ask five questions about their company’s IT security: How do we defend our organisation against phishing attacks? What do we do to control the use of our privileged IT accounts? How do we ensure that our software and devices are up to date? How do we ensure our partners and suppliers protect the information we share with them? And what authentication methods are used to control access to systems and data?